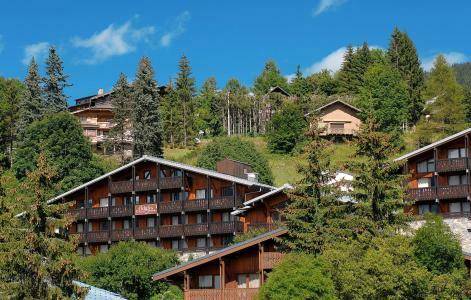 For successful summer holidays in the mountains, book your accommodation to Megève in Northern Alps massive, Haute Savoie. This mountain resort will offer you exceptionnal areas and surprising landscapes. 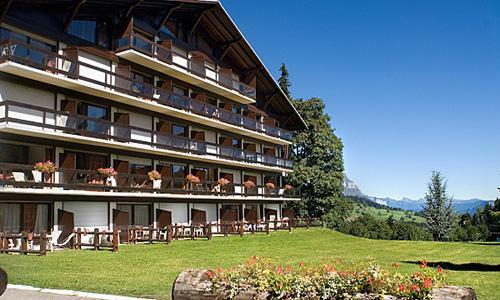 Your summer accommodation to Megève will be for you a moment of wellness in the heart of a beautiful nature and you will spend holidays in wide open spaces. Our moutain offers will make you live warm emotions with all your family. We propose you quality holidays accommodation in all French massives, in the heart of mountains. 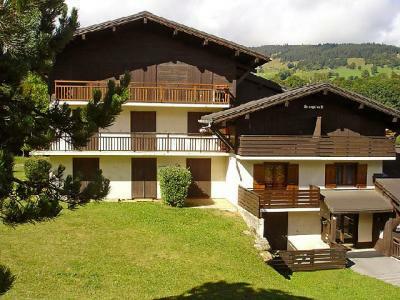 We have many residences to rent for your summer to Megève. Let yourself be carried by a feeling of happiness, enjoy the summer holidays in the mountains full of sun and discoveries ! Residence "Le Sapin". On the outskirts, 2 km from the centre of Mégève, 3 km from the centre of Combloux, in the countryside. In the complex: storage room for skis. In Winter: please take snow chains. Stepped path (35 steps) to the house. Parking. Supermarket 1.7 km, restaurant 800 m. Golf course 2.5 km, gondola lift 700 m, slopes 100 m. Nearby attractions: Megève 2 km, Mont-Blanc 38 km, Genève 64 km. Well-known ski regions can easily be reached: La Princesse. Please note: car recommended. There are more similar properties for rent in this same residence. The residence Palais des Sports is located in Megève. It is situated 700 m from the village center and shops. This residence is composed of 3 buildings of 4 floors without lifts. You will take advantage of a private car park and garage. Le Mont d'Arbois Pierre & Vacances residence comprises an old palace and a Savoy-style large chalet. 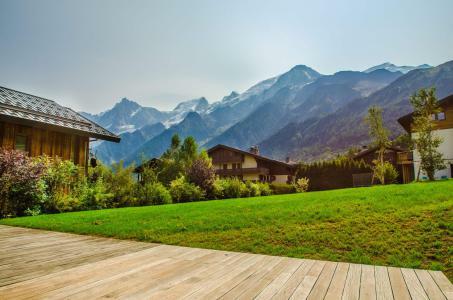 A calm location in exceptional surroundings with the Mont Blanc. It's an elegant and confortable residence with a heated indoor swimming-pool at your disposal for free. Residence "Les Chalets Prariand". 16 apartments in the residence. In the resort, 1.5 km from the centre, in a quiet position, 1.5 km from the skiing area. For shared use: 11 swimming pools heated, fenced (10 x 8 m, 01.07.-01.09.). Tennis, boccia, volleyball court. In the complex: reception, restaurant, bar, breakfast room, WiFi, sauna (extra). Fitness room, whirlpool (extra). Hamam table tennis, playroom, table football, lift, storage room for skis, central heating system, washing machine, tumble dryer (for shared use, extra). Breakfast and half board possible on request (extra). In Winter: please take snow chains. Parking (limited number of spaces) at the house. Shop 2.5 km, grocery 1.5 km, supermarket 2.5 km, bakery 2.5 km, railway station "Megève". Golf course (18 hole) 5 m, chair lift 1.5 km, gondola lift 1.5 km, skisport facilities 1.5 km, ski school 2 km. Nearby attractions: Geneve 70 km. Well-known ski regions can easily be reached: Evasion Lont Blanc. Please note: car recommended. Entertainment in the season. Suitable for families, baby equipment on request (included), childminding in the season (extra). On request: airport transfer to the holiday accommodation. 24hr guard. The photograph shows a typical example. The catalogue photo is just an example. There are more similar properties for rent in this same residence. 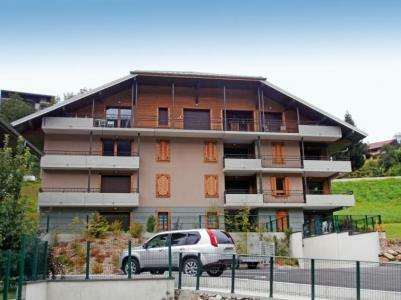 The residence Lune Argent at Megève is situated at about 1 km from the centre of the village, where all the sporting activities and shops are grouped and less than 500 m from the restaurants and bars. The residence consists of 2 chalets. The bus stop is located at 1 km. The residence Bel Alp is located in Saint Gervais. This residence of 9 floors, with lift, is situated 20 m from the village center, 70 m from the ice rink and 1.2 km from the covered swimming pool. 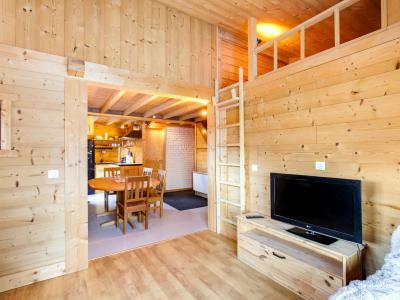 Athina is a modern chalet of 170 m² for 10 people, located at 200 meters from the Prarion, in the resort of Les Houches. You can take the regular shuttle bus which is situated at 200 meters to move through the valley. Enjoy the charm and benefits of this spacious chalet. Living room, dining room with fireplace and library, satellite TV, Hi-Fi, wifi internet access. 1500 m² garden, a big terrace, covered garage, overlooking the Mont Blanc chain. Non smoking chalet. 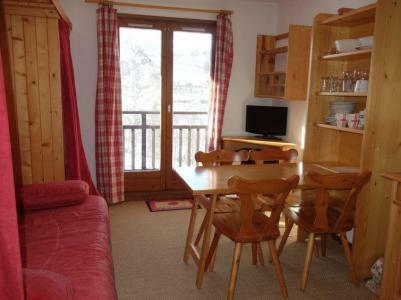 Chalet "Cosy 1 et 2". On the outskirts, 3.5 km from the centre, in a quiet position. Steep motor access. In Winter: please take snow chains. Grocery 3.7 km, restaurant 3.5 km, outdoor swimming pool 4.3 km. Skisport facilities 2.8 km, ski bus stop 500 m. Well-known ski regions can easily be reached: Evasion Mont Blanc. Please note: car recommended.